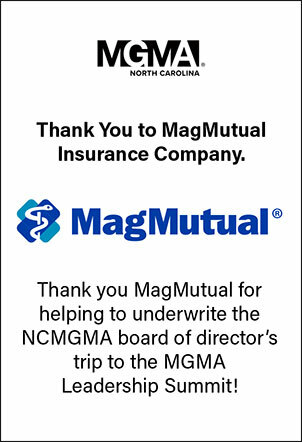 Twice monthly, NCMGMA News will feature a sponsor on our site. Our sponsors are a vital part of our organization, enabling us to provide the high level of products and services our members have come to enjoy from NCMGMA. Our sponsor this period is athenahealth. Learn more about athenahealth by viewing their ad on NCMGMA News and on our website. You can also visit their website at https://www.athenahealth.com/.